"The Never Revealed Before System Responsible For QUADRUPLING Their Business And Generating 4,000+ New Customer Sales PER DAY!" I’m going to make this quick and easy. Agora Financial is the 800-pound gorilla in the world of direct response marketing. The Top Dog. The best of the best. Over the past three years, they’ve basically quadrupled their annual sales. Today, their advertising generates up to 80,000 website visitors every day. Up to 4,000 new customer sales every day. And about a million-dollars of revenue every forty-eight hours or so. You have the once-in-a-lifetime-opportunity to put their entire traffic generation, media buying, and customer acquisition system into your business. You’re a player. You want to scale big. And you want to do it fast. The traffic methods and tactics and hacks talked about and taught within the mainstream internet marketing community ain’t how the big dogs play the game. I know… cause I’m the go-to marketing consultant for most of them. My name is Todd Brown. If you’ve been in the marketing game for any length of time, you know who I am. If not, I won’t bore you with the details about all the magazines and newspapers I’ve been featured in, or why the most well-known and accomplished entrepreneurs and marketers come to me for help. Just Google my name. This page… this offer… is about YOU! About your business, your income, and how the Agora Financial Traffic System can multiply it bigger and faster than anything else on the planet. Not garbage traffic of unqualified folks who don’t buy. And, frankly, with the Agora Financial Traffic System… it’s likely you’ll see more buyer traffic than you even know what to do with right now. See: Their system soaks-up and scales traffic from multiple traffic channels and sources at the same time. And, so… you have lots of extra cash flow and the traffic volume to scale your sales and traffic even more. Scaling your business. Scaling your profits. And scaling your income in the process. And on and on the cycle will go… and GROW… for you. You’ll see, firsthand, you’ll finally have that monster traffic you’ve only heard about, but never experienced. We’re not talking about a system to produce sprinkles of traffic. 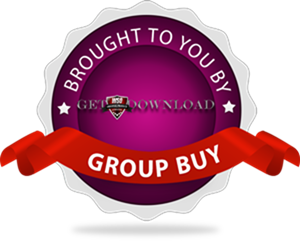 We’re talking about a system that drenches you with new buyers every day. Agora Financial is growing like a weed. They’ve been for some time now. And, besides not having enough copywriters, their biggest constraint is a lack of media buyers trained to deploy their system. AF desperately wants and needs more media buyers they can train, to continue to pump even more traffic for them. That’s why they allowed me to pay a few thousand bucks for a videographer to spend the month in Baltimore filming their entire traffic generation, media buying, and customer acquisition training. Because, by offering the recordings to a few hundred people, we can immediately identify a group of people serious about mastering MASSIVE traffic generation. And, the hope is, by awarding these 400 copies of their complete Traffic System training, at least two or three buyers will turn into wildly successful media buyers for them. 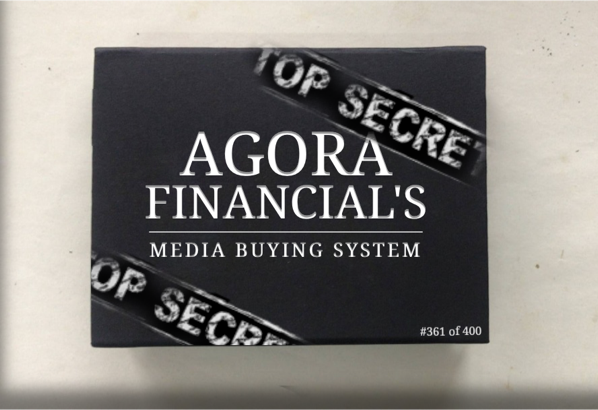 Full access recording bundle from the month-long internal Agora Financial traffic generation, media buying, and customer acquisition training! Everything you could want to know — and MORE — about how the best in the world scales their traffic and new buyer sales, is covered. ==> Offer creation… conversions… funnel structure… ad design… campaign optimization… metrics… media selection… targeting… research… testing… pixels… legal… budgeting… copy… you name it. Not a single stone was left unturned because they were training their own team. Every piece of their system is laid bare for you. You also get to hear from two incredible special guests AF brought-in on day five — two young guys who became one of the top media buyers on all of Facebook in about 9 months. Listen as these young guns breakdown how they generated 70,000 new customers for Agora Financial. It’s insane!